This past Sunday morning an Ethiopian Airlines plane, registration ET-AVJ, departed Johannesburg on a routine flight to Addis Ababa. A few hours later, following an apparently incident-free trip, ET-AVJ took off again from Bole Airport bound for Nairobi. Barely 6 minutes later the airliner plunged from the sky, striking high ground and killing all 157 people on board. Following the tragedy, countries and airlines grounded their fleets of the Boeing 737 Max. As the engineers at Boeing scramble to establish the cause of the accident, the company must now deal with the public relations – and financial – implications of the disaster. This got me thinking about our own field of medical devices: What have been some of the disasters and how have they been handled? Sixty years ago, the orthopaedic surgeon John Charnley was searching for a suitable material for his acetabular cup and knew that PTFE (Teflon) had an extremely low coefficient of friction. What he did not know was that Teflon had very poor creep properties and his first 300 hip replacements led to the catastrophic result seen below left. Fortunately for Charnley, he was able to recall every one of his patients and perform revision arthroplasties, this time using high-density polyethylene for the cup. Had he been working in the USA the authorities may well have sent him to jail; however, he was living in the UK and the Queen subsequently awarded him a knighthood for his contributions to hip replacement surgery. 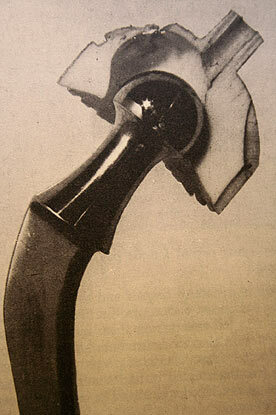 The Charnley Hip was manufactured by Thackray, with many patients enjoying pain-free movement for over 30 years. Towards the end of 2018 the International Consortium of Investigative Journalists created and published a database on dangerous or faulty medical devices that included 70,000 recalls. Their purpose was “to broadcast the data in the public interest to provide vital safety alerts, and potential recourse for patients who have been shut out from such information until now.” The FDA maintains its own database of recalled medical devices, with ten recalls so far in 2019. 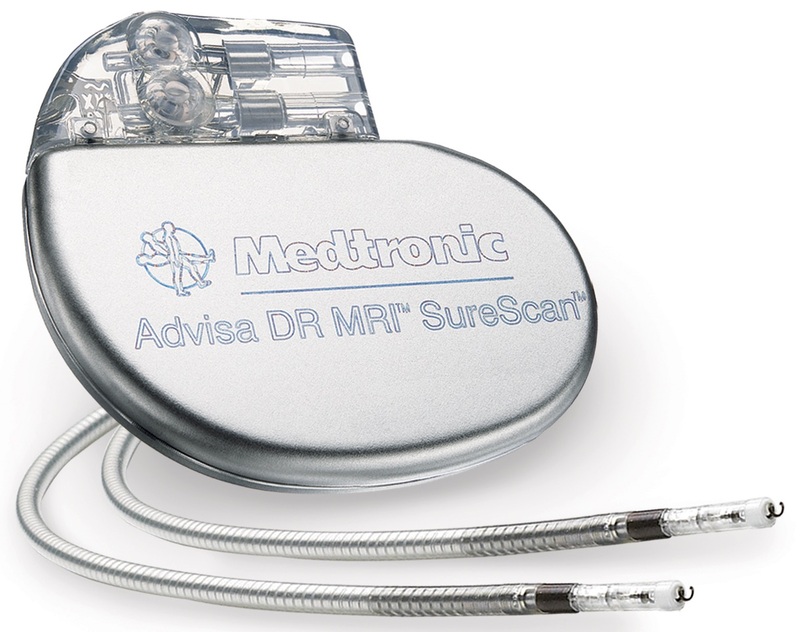 Among these is an implantable pacemaker manufactured by Medtronic (seen below right), recalled due to possible circuit errors for which the company is developing a software fix. According to Medtronic, no deaths have yet been reported. 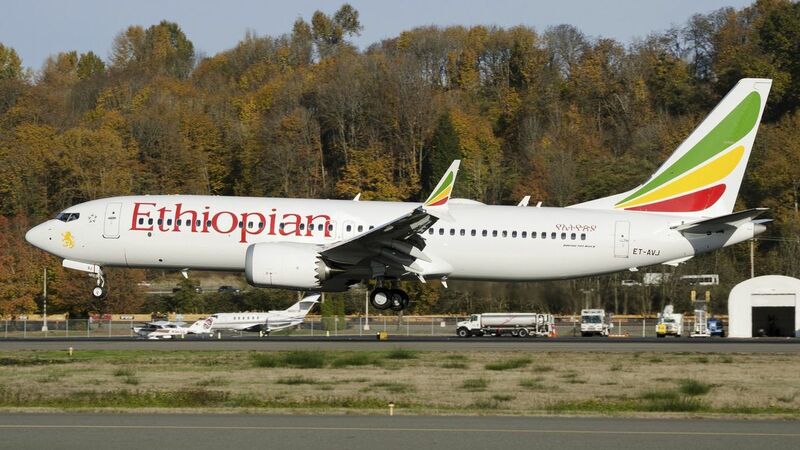 It would appear that a solution to the problems encountered by the Ethiopian Airlines plane – and the Lion Air crash in Indonesia in October 2018 – may be a straightforward software upgrade. For the sake of air travellers everywhere, let us hope the Boeing engineers succeed in solving the problem.